New York, NY – March 27, 2015 – Time Inc. (NYSE:TIME) Executive Vice President and Chief Content Officer Norman Pearlstine announced today the winners of the 17th annual Henry R. Luce Awards, honoring editorial excellence in print, digital and multimedia categories across all of Time Inc.’s US brands. Time Inc.’s Southern Living (Southern Living.com <http://www.southernliving.com/> ) is being recognized as “Magazine of the Year” and Landon Jones, former editor of People and Money, will receive the Lifetime Achievement Award when the Luce Award winners will be celebrated with a dinner at Oceana in New York on April 15. Awards were given out in 19 categories, including Magazine of the Year, Lifetime Achievement Award, Most Valuable Player, News Photography, Best Cover and Best Multimedia Story. Former Time Inc. editorial directors Jim Kelly and Isolde Motley joined Pearlstine in judging the entries. 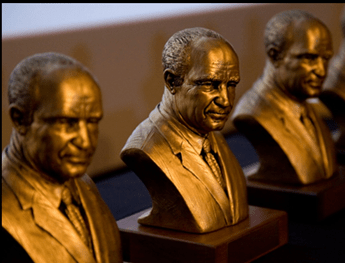 “The Henry R. Luce Awards are Time Inc.’s own prestigious awards that honor the important legacy of our founding father by celebrating the highest journalistic standards, innovation and design within our portfolio of brands. We are very proud of the exceptional work being done across the company,” said Pearlstine. This entry was posted in News & Events on March 27, 2015 by Lanny Jones.